Pialee Adhikari Mukherjee, the founder of Tattva Healing, is a Transformation Coach and psycho-Spiritual Counselor/ mentor and Healer - with certifications in over 20 healing modalities and practices. With a spiritual pursuit of almost two decades Pialee continues to learn and grow integrating teachings of wisdom traditions with lessons from modern science and psychology. Apart from a Masters in Spirituality & Value Education, she is an independent Reiki Master. Pialee is an EFT practitioner certified with Association for the Advancement of Meridian Energy Technique (AAMET) as also a certified hypnotherapy practitioner as per standards of the American Board of Hypnotherapy. 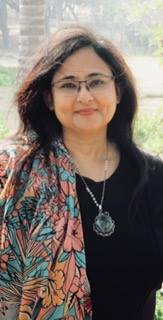 She is a trained Breakthrough Coach with Timeline Technology and a certified Neuro Linguistic Programming (NLP) practitioner (UK/India) & Association of NLP (ANLP) which is global body. From a space of self attainment her primary wish is to serve others to be empowered and live lives from their highest potential. With a deep understanding of the human spirit and being equipped with the modern techniques of therapy enables her to help people find solutions to various challenging aspects of their lives catalyzing transformation and empowerment.